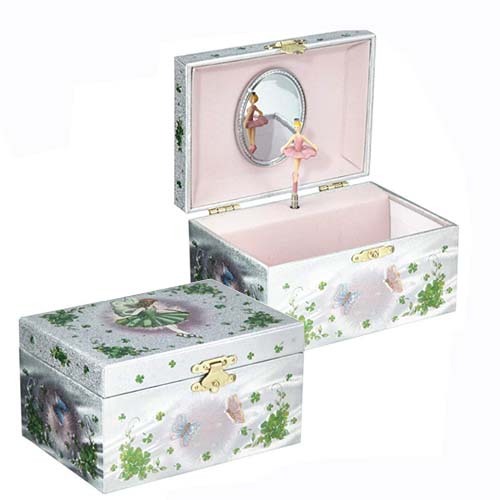 Adorable Irish jewelry box that features a little ballerina that twirls when the box is opened and plays "It's a Long Way to Tipperary (Sweetest Girl I Know)". Paper Mache style box but with lovely iridescent foil paper. There is an oval mirror inside the lid and a compartment.